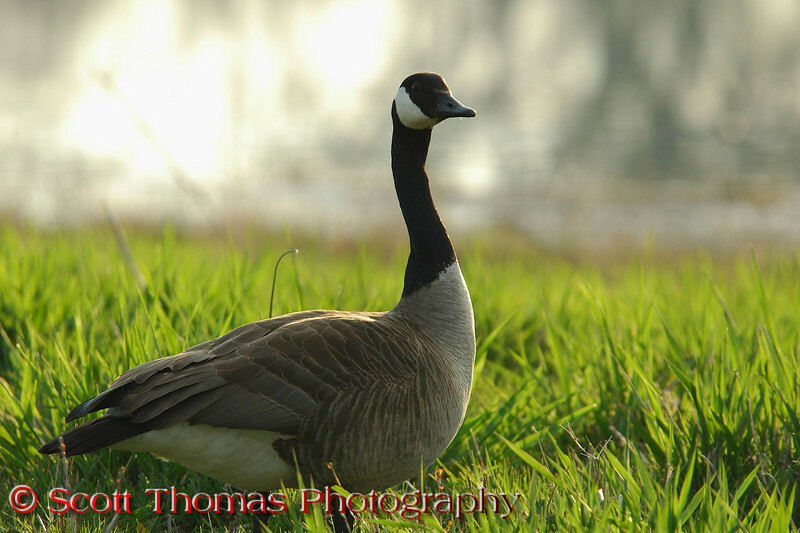 In the last decade, Canadian Geese have gone from a symbol of nature to a nusiance species as they have learned to take advantage of Man's surburban lifestyle. I've seen park areas covered in their droppings and geese being feed from people's hands who then attack when the people stop feeding them. However, when seen in the environment from which they have evolved in, they are still a very beautiful and majestic bird. Especially in the Spring, as their plummage is very colorful and healthy. I recently spent some time in the Montezuma National Wildlife Refuge (Click Here for More Information) near Seneca Falls, NY. I've added links for further research and travel planning. Oh, and the prints are for sale if you take a fancy to any of them. Use the link next to buy:. Don't worry, you can just buy one unless, of course, you want more than one. (Note: The copyright watermark will not show on the final print(s).) Comments are always welcomed and thank you for visiting! The Montezuma National Wildlife Refuge (MNWR) features a wildlife drive around the main pool which is teeming with migrating waterfowel, shorebirds and songbirds every Spring. 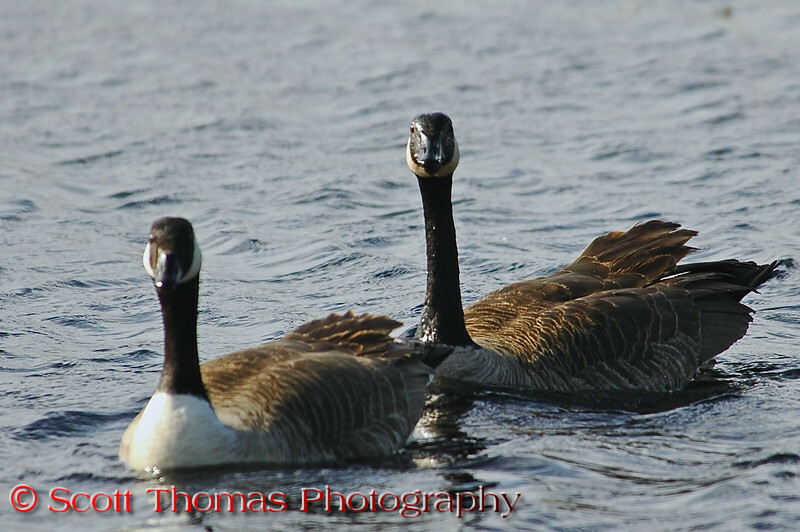 Many Canadian Geese call the MNWR their home and are used to cars driving by their nests which can be as close as 5 feet from a car's window. When the female is on the nest, the male is nearby watching over her like a sentinel. This one's mate was about ten feet away on the other side of the wildlife drive's road. Can you spot the nest? 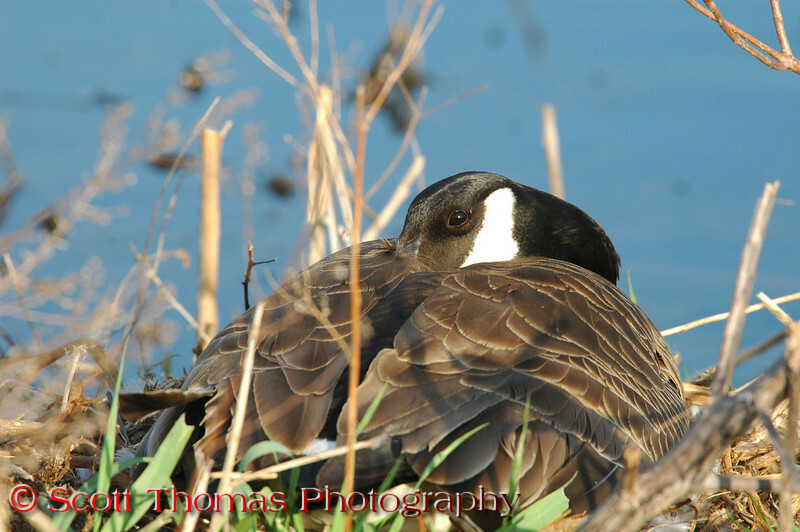 Nesting Canadian Geese and their eggs are at their most vulnerable so they must use their coloring and ability to be totally motionless for hours for protection. 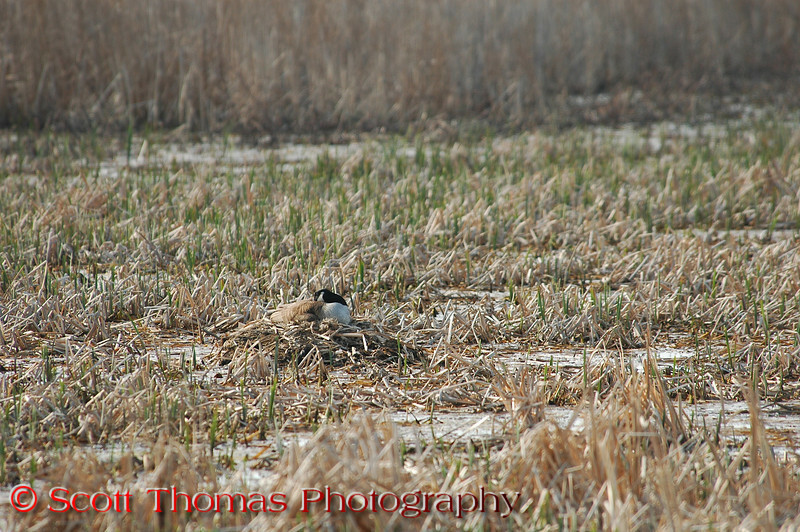 It would be very hard for a predator to see her on this nest unless she moved or made a sound. 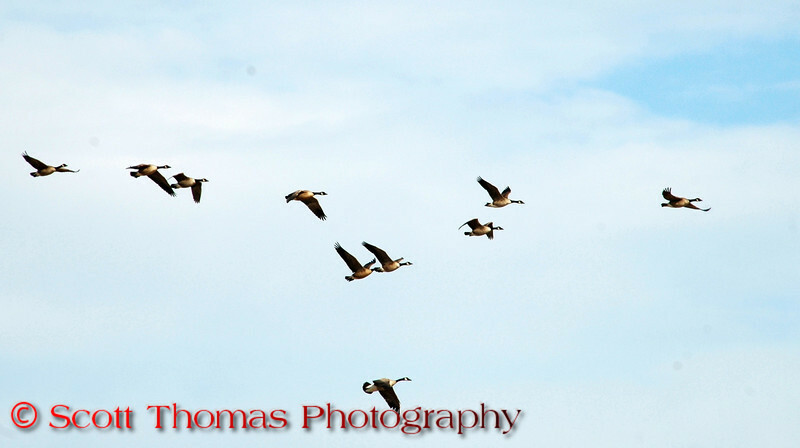 Overhead flocks of Canadian Geese move from the pool out to the refuge's planted fields to feed. I am particulary proud of this one. 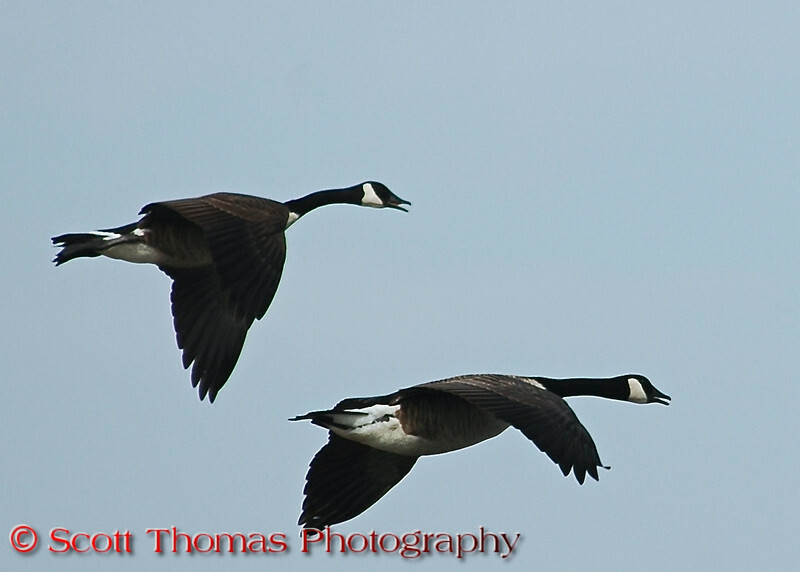 Taken with a Nikon D70 and 80-400VR lens (as are all of these photos), I tracked this pair from a high observation tower as they were coming into the Tschache Pool to join other geese on the water. I had my camera in continous mode and captured them all the way in. This was the best of the sequence.